Cruise ships can be dangerous. People fall on slippery decks, get hurt during shore excursions and catch illnesses that completely spoil vacations, and which cost thousands of dollars. Some of these events are no one's fault. 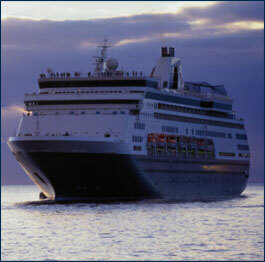 There are many cases, however, which can be blamed on the negligence of the cruise line or its employees. Royal Caribbean is no different. If you or a family member were recently injured during a Royal Caribbean cruise vacation, contact Seattle Maritime Attorneys for a free consultation. Focused on maritime and admiralty law cases, Washington attorneys John Merriam and Gordon Webb offer more than 50 years of combined experience in helping injured cruise ship passengers nationwide to collect compensation for medical bills, lost wages, pain and suffering, and other losses. We are ready to start helping you and your family today. Call us today for a free consultation. You can reach our offices at 877.800.1007 (toll free) from anywhere in the United States. Please feel free to contact Royal Caribbean passenger injury attorneys John Merriam and Gordon Webb by e-mail as well, at any time, day or night.